A big thank-you to all who supported our first event at Social Room and rumbled with us on the dancefloor (or the couch :) ) ! 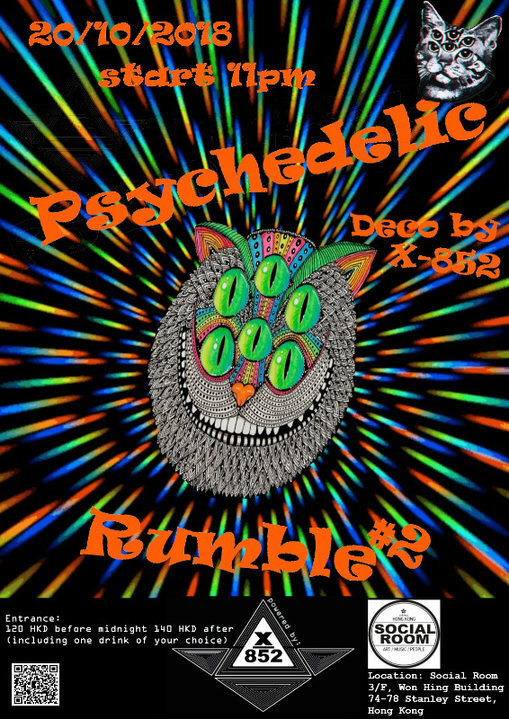 We're bringing back the psychedelic vibes, sounds & decoration into good & gold Social Room for another round - hurrah! Get social in October :) - we want to bang with you! As last time full power is guaranteed!! !